The Mana Kai (all pictures) is the name of the hotel where we stayed in Maui. 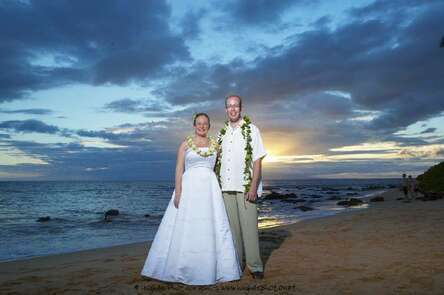 It is located on the south-west side of the island, in South Kihei. Our room had a great view of the beach and ocean. On the right of the beach was a lava flow-based reef which started right at the beach -- just walk into the water and enjoy the reef. Perhaps 30 minutes further south from the hotel is Ahihi-Kina'u Natural Area Reserve (all pictures). This is the location of Maui's most recent lava flow, which took place in 1790. I made the trip to La Perouse Bay within the Natural Area Reserve several times during our stay, simply because the landscape fascinated me. 'Ahihi Cove is the first beach located inside the 'Ahihi-Kina'u Natural Area Reserve. It is a protected area and it is illegal to spear or capture fish in the reserve. There is no sand beach here, but the cove is protected from wind and surf and the snorkeling is usually terrific. This area is the site of the last lava flow on Maui in 1790. The lava covered everything as it poured down from Haleakala creating a surreal moonscape. The road to Hana (all pictures) took us a full day to explore. 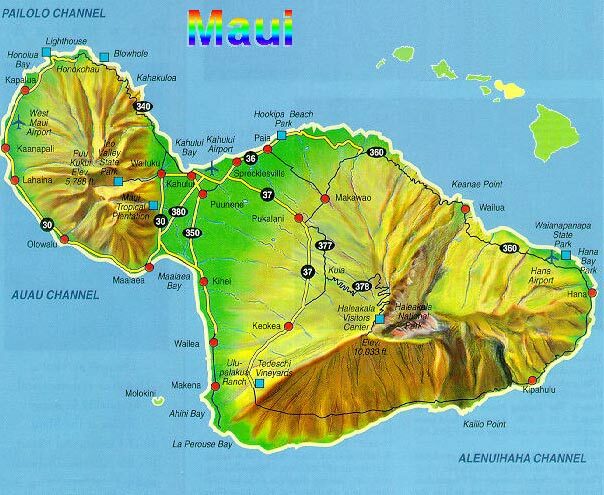 This trip covers the bottom half of the island of Maui, and it took us through parts of the rain forest. The main goal was to reach the Seven Sacred Pools (also known as O'heo Gulch) just a few miles past Hana, but along the way we stopped to take many pictures, and I did get to jump off some lava rocks into the ocean at Honokalani Black Sand Beach. Honokalani Black Sand Beach is located in the Wainapanapa State Park. This large beach is set among lava cliffs and the sand is actually small, smooth, lava pebbles. A small sea arch, sea caves, and seaside lava tubes are located in the beach area. King's Highway, an ancient Hawaiian footpath, leads from the beach area along the coastline for 3 miles to the town of Hana. Lahaina (all pictures) is a small town on the North side of the island. Of particular interest is a banyan tree with an impressive display of aerial roots that covers most of a city block in front of the historical Lahaina courthouse. Otherwise, Lahaina is more-or-less a regular Maui tourist destination with many little shops. On Monday August 16, Brendan and Stacey were married at the hotel where we were staying. Congratulations, guys! I'll try to get my hands on a few more wedding pictures to post here (2004-Aug-30). It was a beautiful wedding, performed at sunset, just feet away from the beach. On Tuesday evening, we attended a traditional Hawaiian Luau. The night started with drinks, a meal consisting primarily of a large pig wrapped in banana leaves and roasted for many hours in a pit, followed by an entertaining demonstration of many traditional Hawaiian and Polynesian dances. Kathie's choice of activity on our last day was to visit the aquarium (all pictures) somewhere between Kahului and Lahaina. The aquarium is actually a very nice facility. I especially liked the clear, large underwater "tunnel" that you walk through with almost 360° view of the ocean life. My own choice of activity to complete on our last day in Maui was a visit to Haleakala National Park (all pictures), the volcano that formed the south part of the island. The twisty road that leads up to the summit of the volcano rises 10,000 feet in elevation from the ocean, and took us through a thick layer of cloud, which can be clearly seen from here for example. The 'ahinahina is a member of the sunflower family and is endemic to the upper slopes of the volcano above 6,500-foot elevation. The spectacular 'ahinahina, with a flowering stalk that can reach a height of four to six feet, gained fame in the early years of Hawaiian tourism. Oten people removed living plants as proof that they reached the summit of Haleakala. By the 1920's 'ahinahina, also known as the Haleakala Silversword, was very near extinction. Human vandalism, browsing by goats and cattle, and hikers severing roots by walkin on sharp cinders near the plants contributed to the decline. These rare plants flower only once, after many years of growth. They bloom in the warm summer months from May through September. Each 'ahinahina must be pollinated by another 'ahinahina to produce fertile seeds. They rely on insect pollinators for reproduction and survival.